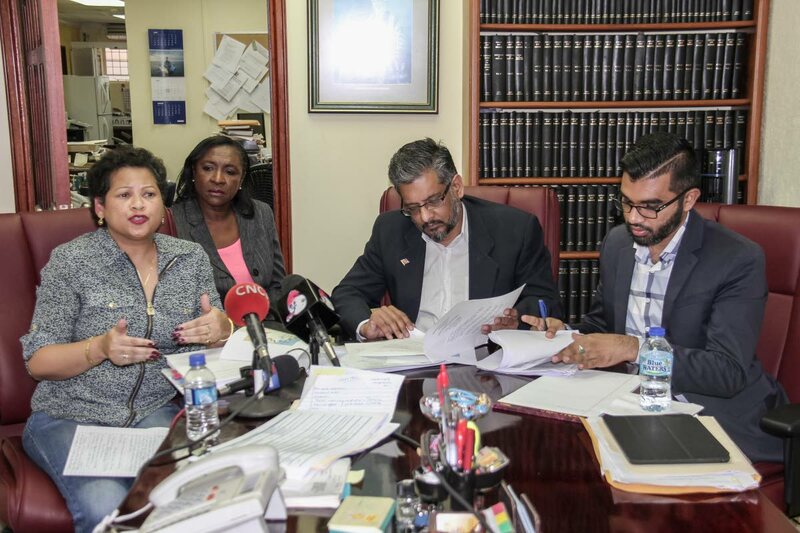 PASSENGERS face a six hour ride from Trinidad to Tobago on the Galleons Passage and the trip could get quite rough, warned maritime attorney Nyree Alfonso at a news briefing at her Port of Spain chambers yesterday. “You could go on a plane and get to New York in that time,” she scoffed. Also present were former Cabinet minister Devant Maharaj and Opposition Senator Saddam Hosein. Trips on the two current ferries, Spirit and Express, are said to take about three to four hours. Alfonso said Galleons Passage is not a fast-ferry. Further she said it was specifically designed for the sheltered waters of the Venezuelan coast and not for the choppy seas between Tobago and Trinidad. Port Authority former CEO Charmaine Lewis joined the briefing to say the way the vessel was acquired was unknown to the authority. Recalling Lewis having testified to a joint select committee (JSC) on the port and ferry acquisitions before the Government fired her, Maharaj accused the Government of disallowing the continuation of sittings of that JSC. Alfonso said unlike two existing ferries, this vessel has two ramps. This means the port at Scarborough in Tobago must now be re-configured to accommodate the boat at a cost of $1.5 to $2 million, and secondly that sea-water could flood into the boat unless the bow ramp is welded shut. She said a divergence exists in the vessel as originally planned and as built, adding that any change made to the boat can affect its stability in the sea. Alfonso hit the Government for not making available documents about the boat. She retorted to critics of the Lloyd’s Registry gap analysis report on the boat. Alfonso alleged bad damage to the boat’s underside during its 2016 sea-trials, including its four propellers, drive-shafts and stern tubes. She said the underside had not been inspected by either Lloyd’s nor Government’s ship surveyor Courtenay Lange. Alfonso asked why ferry acquisition had been shifted from the Port Authority to Nidco the latter whom she alleged had no relevant expertise in this area. Newsday contacted Sinanan who opted not to comment but said Nidco was preparing a written response to the points raised. Reply to "Nyree: A long, rough ride to T’bgo"